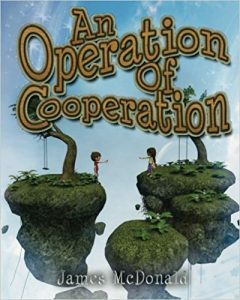 How to Encourage Cooperation | FutureFlyingSaucers. Was it hard to hold the rod up by yourself? (At first it was easy, but then my arms started getting tired.) Do you think you could have held that rod up for a whole day? (No.) Moses couldn’t either. Who were his friends? 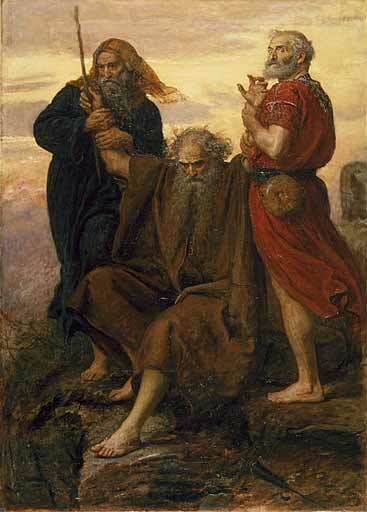 (Aaron and Hur) Aaron was Moses’ brother and Hur was Caleb’s son. Both helped Moses lead the Israelites. Cooperation is important. No one can go through life alone. One of the things that might happen to people when they are in jail, or prison camps, is something called solitary confinement. This is when a prisoner is placed in a room by himself for an extended amount of time. They are not allowed to have any dealing with people except when given food and water. It’s awful. People are meant to be in community with each other. 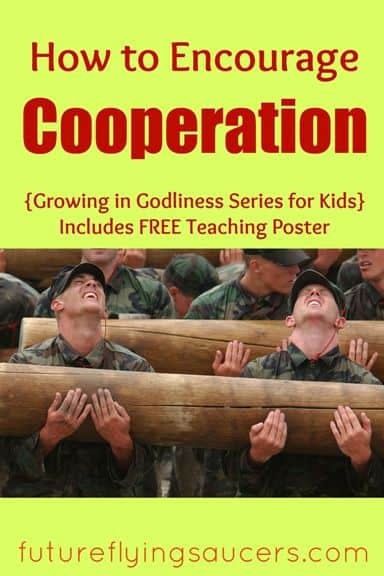 God wants us to get along and cooperate with each other. What would have happened if Aaron and Hur had decided that they did not want to cooperate? Maybe they had other things to do. Instead, they were sensitive to the needs of their friend who needed them. They walked up the hill with Moses and stayed with him during the battle. Success comes from working as a team. Some people think they can do everything all by themselves, but this is not what God wants. He wants us to help each other and cooperate so people can know about Jesus. Can you think of a friend who might need your help? Go help him! Make sure he isn’t by himself, and cooperate so everyone can win. What can we learn from Aaron and Hur? 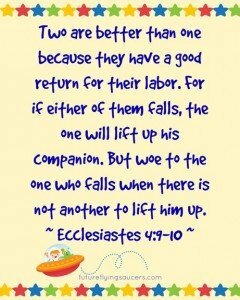 If we want to be godly, then we must choose to cooperate and help others. 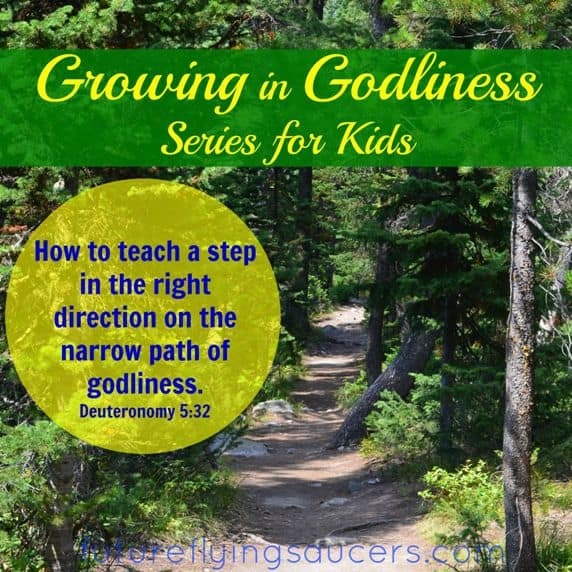 This lesson has been UPDATED and is a part of my book Walk This Way: Ethics and Sanctification Lessons for Kids. CLICK ———> HERE for more information.